I was following a car heading west on Madison Street in Chicago, riding home from work on November 19, 2013. Suddenly, without brake lights or signals, the driver decided to radically slow down and make a right turn into a parking lot. 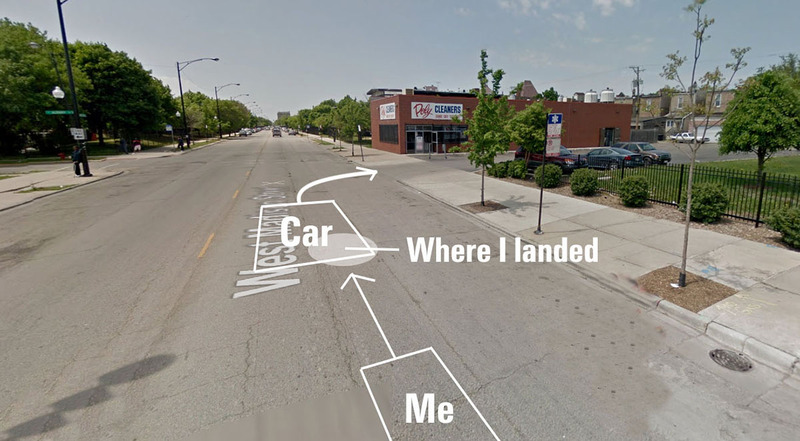 This is typical Chicago driving and I should have been more alert to it. I thought I was following at a safe distance doing 25-30 MPH, but I was generally lined up toward the right side of the lane. There was no room for me to maneuver to the left around the slowing car without going into oncoming traffic. 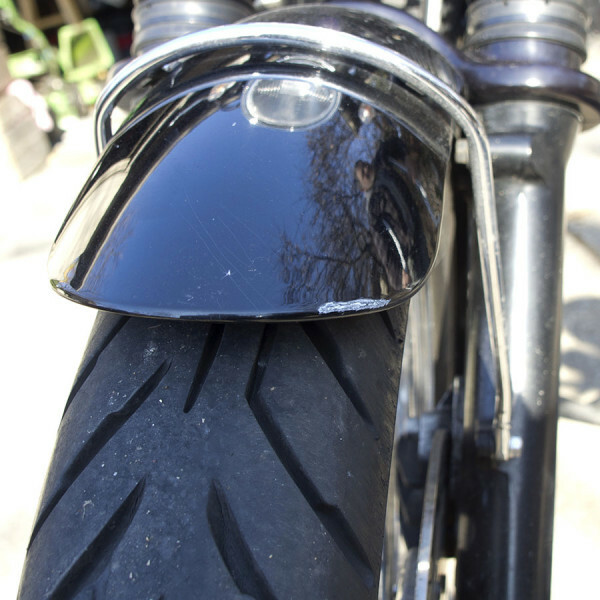 So, I braked and I must have done it too hard, especially on the rear brake because the next thing I knew I was on the ground, the bike on top of my left leg and foot, and me facing the ground. I had not made contact with anything else other than the street. Where the accident happened. It was dark, not daylight. Road conditions were dry. No contact was made with the car. 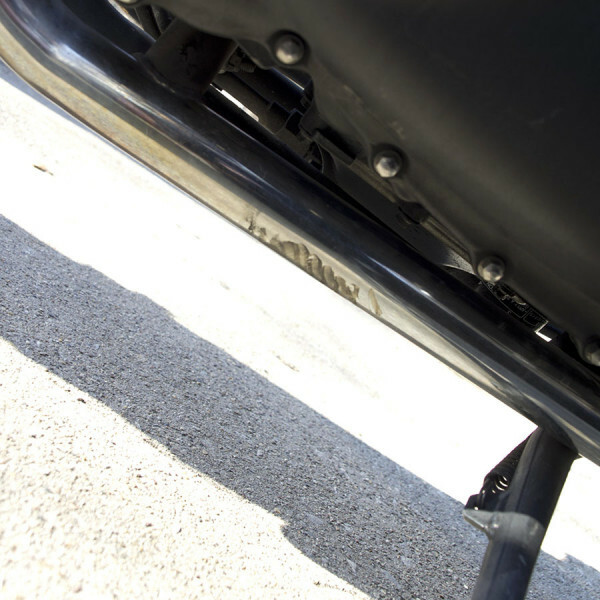 I knew right away that something wasn’t right with my foot position under the bike. I do not know how, but while in shock I managed to free my foot by lifting the bike with my back against the seat and my hands hooked below the left side of the bike pushing down with my right leg. Several people stopped and helped me to a nearby traffic sign to rest, and got my bike uprighted and off the street. I saw that the left footpeg and shift lever were broken. Someone called 911. Soon the Chicago Fire Department paramedics were on the scene. This accident did not happen in a particularly great neighborhood. I was told that if I would have left the motorcycle on the street it would have been gone within the hour. So, a friendly and helpful firefighter (who was also a motorcyclist) was able to get my bike started and volunteered to ride it to their firehouse until a friend of mine could pick it up for me. The Chicago Fire Department paramedics were great and took me and my gear to a nearby hospital ER where I was given pain medication and some x-rays were taken. 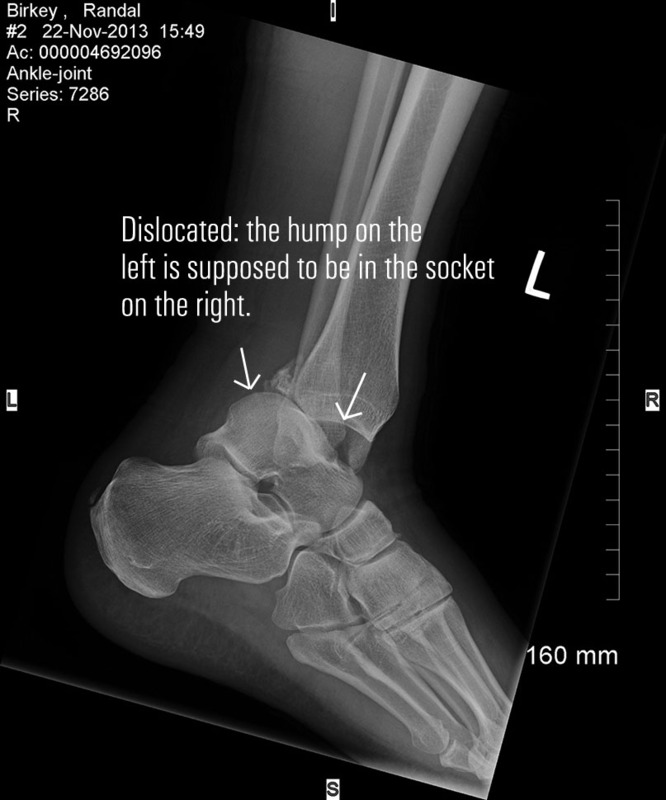 The x-rays revealed a broken and dislocated left ankle. They put me out, set the ankle and splinted it up. When I came out from under the anesthesia, I was discharged. Being taken care of in the ER. I think this was taken after the pain medication was administered! 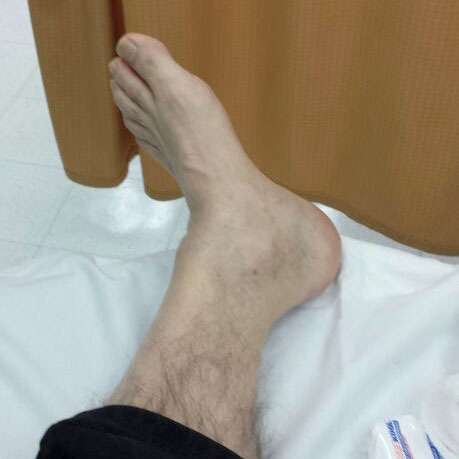 The initial damage… a broken and dislocated left ankle. That same evening, my friend Jordan Horras (see this post) was able to pick up my Bonneville from the Chicago firehouse and transport it to a safe location. Two days later I went to see an orthopedic specialist recommended to me by my primary care physician and another ER physician friend of mine. Dr. Romano looked at the before and after x-rays I had been given when leaving the initial hospital ER, and compared them with the ones his office took. 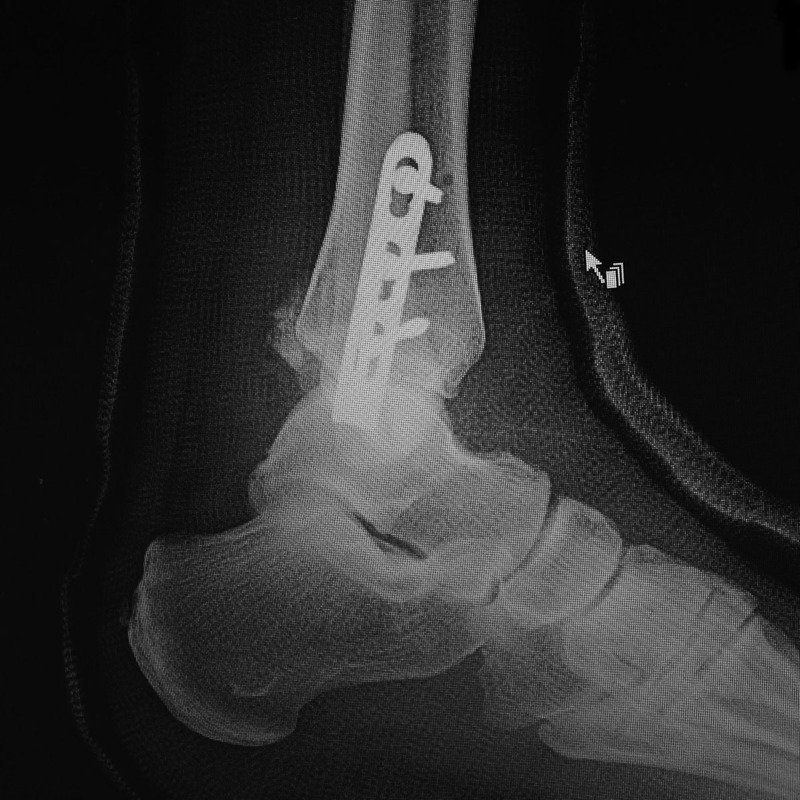 We discussed options and decided that surgery was the best option, to ensure the ankle heals in the correct position, and decreasing the chances of me developing arthritis in the joint. 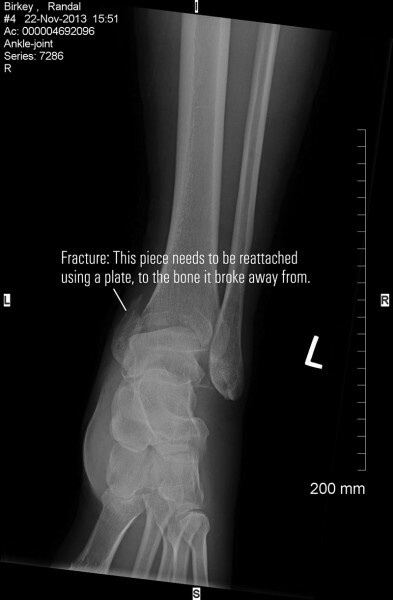 X-ray of my left ankle showing the broken bone that needs to be reattached with a plate. X-ray showing my severely dislocated left ankle. 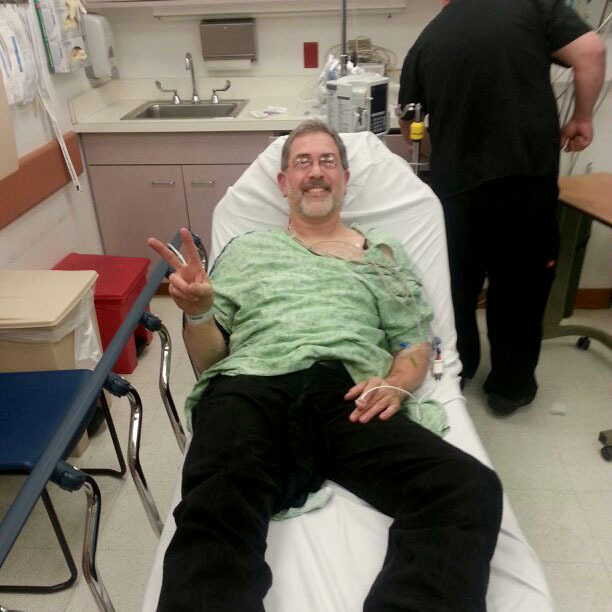 My surgery was performed by Dr. Romano at West Suburban Medical Center on Tuesday, November 26, 2013. Here are a couple x-rays of the plate and pins he installed, and the cast they put me in for 4 weeks. 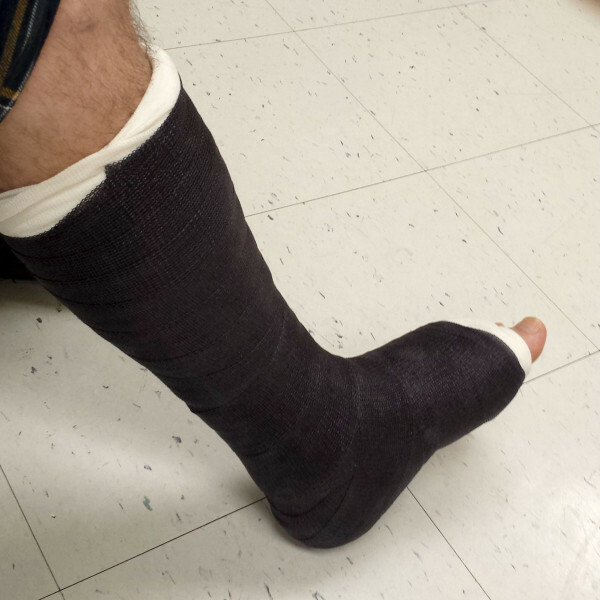 My new “Bonneville Black” fiberglass cast! On a side note, I ended up spending a couple more days in the hospital after Thanksgiving, when I developed an intestinal blockage likely caused by a combination of the anesthesia administered during surgery and the narcotic pain medication I was prescribed afterward. That was really NOT FUN — in many ways worse than the ankle fracture! I highly recommend that if you ever find yourself in this situation to discuss this potential side effect with your doctor first! 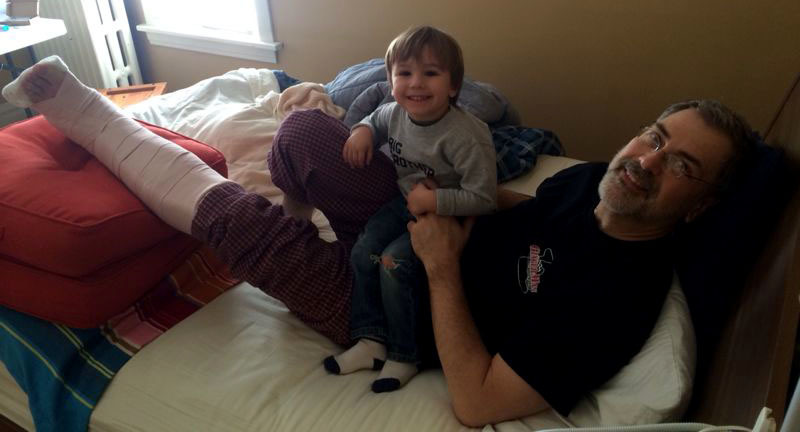 A welcome home visit from my 3 year old grandson who loves “Popops” motorcycle! 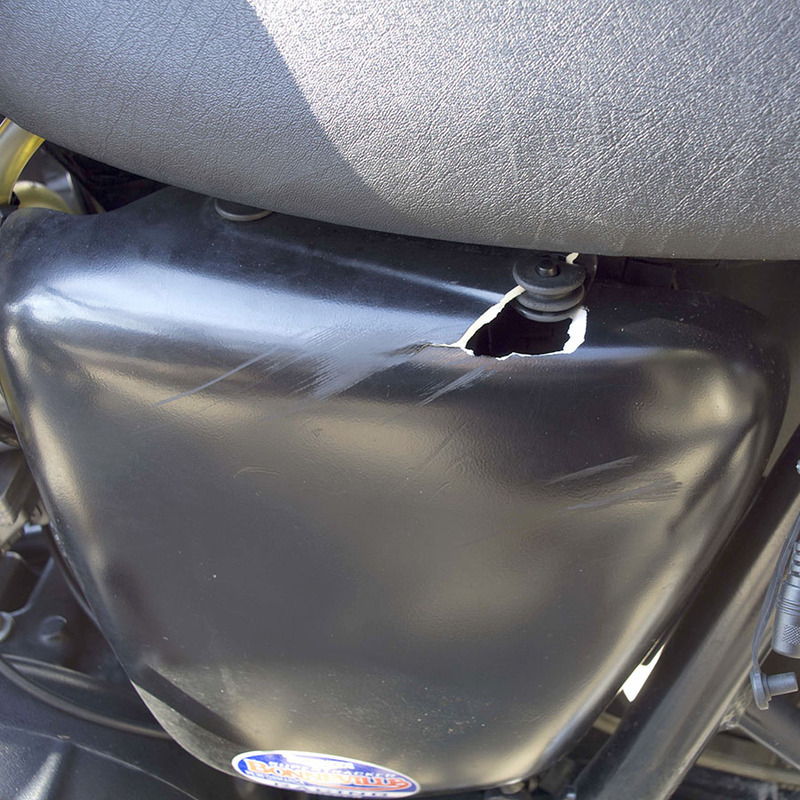 What was the damage to my 2008 Bonneville? My friend Jordan was able to deliver my 2008 Bonneville to my home the day after my accident. My friend Lee was able to shoot some photos of the damage. Damage to left header pipe. Cracked, scratched left side cover. 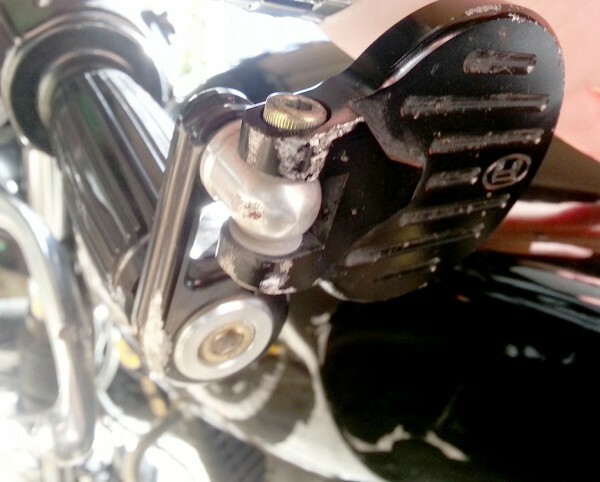 Damaged stock left clutch lever. 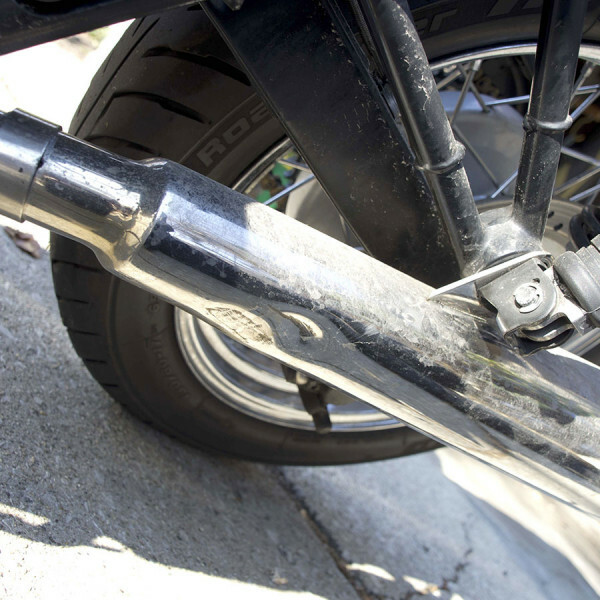 Dented and scratched left British Customs Predator exhaust slip-on muffler. 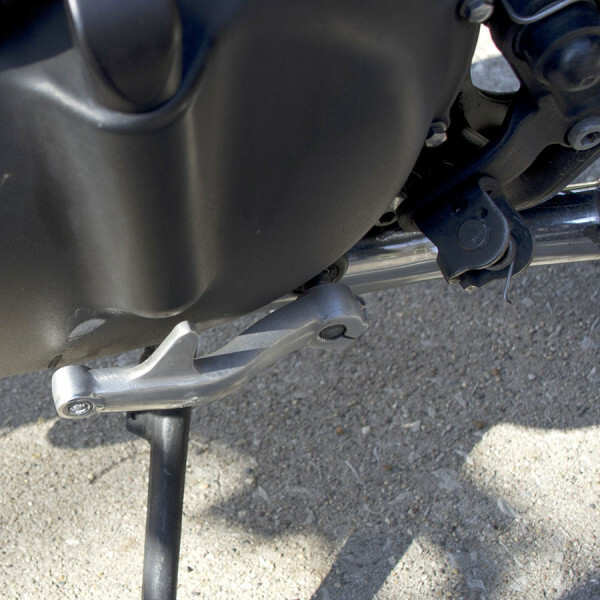 Broken and bent shift lever, broken left foot peg, scratched transmission cover. Scratched Joker Machine bar-end mirror and mounts. 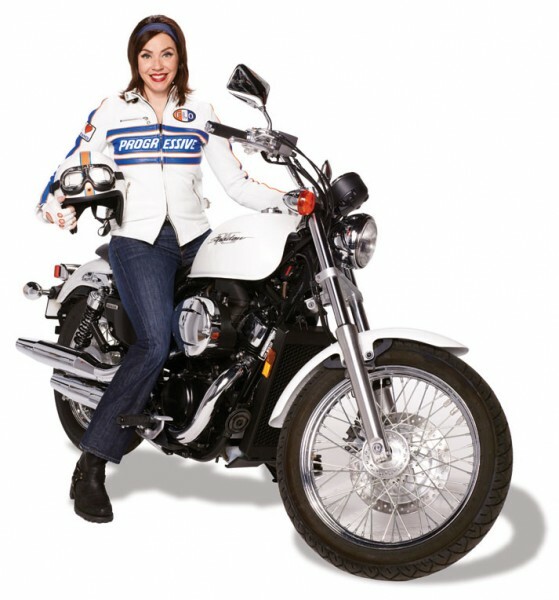 I have Progressive motorcycle insurance, so we shall see how well “Flo” comes through for me. So far, Progressive has been very responsive and indicating to me that the damages will be taken care of as well as the first $2,500 of my medical expenses. We shall see if my experience matches their pro-motorcyclist advertising! Flo, from the Progressive Insurance commercials. Sorry to read about your accident. Glad you’re (for the most part) OK. It’s my belief that the best types of accidents are the ones you get to talk/write about later. 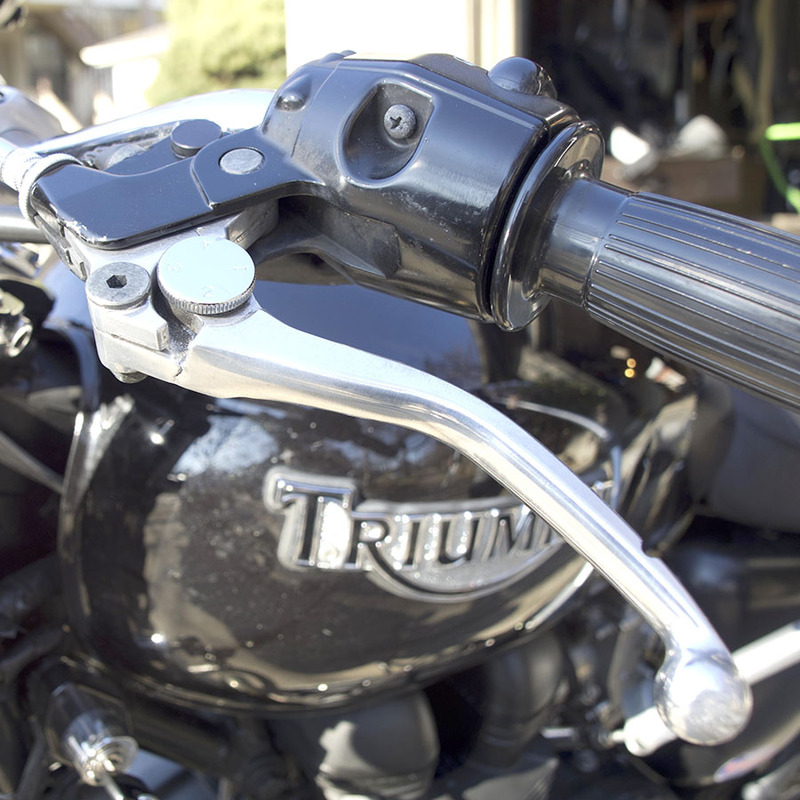 I went through similar frustrations when I trashed my Bonnie in a Deer v. Bike situation last summer. As you probably already know — TriumphRat.net was a great place to “pick up the pieces”, literally. I do have a left-side foot peg that’s used, but in decent shape, email me if you want to work something out. Sorry to hear. I hope you are up and riding soon. I broke my ankle in a similar fashion. On a boat and not on a bike. It takes some time , but it will get back. I was horrifid when I readed what has happend with you. I realy hope that you recovery fast. I wonder how you helmet look after the misshapening. Thanks Kevin. I am recovering and hoping to be back on my Bonnie this spring. Thank you. For you and everyone else interested, my recovery is going well. I am walking around in normal shoes again and going to physical therapy 3 times a week where I get a pretty good workout pushing the limits of my ankle. We are trying to get as much strength, range of motion and flexibility back as possible. 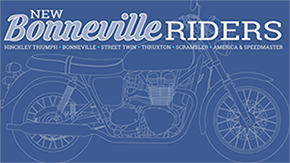 The good news is that if I “had” to ride my Bonneville today… I could do it! Can’t wait for spring! 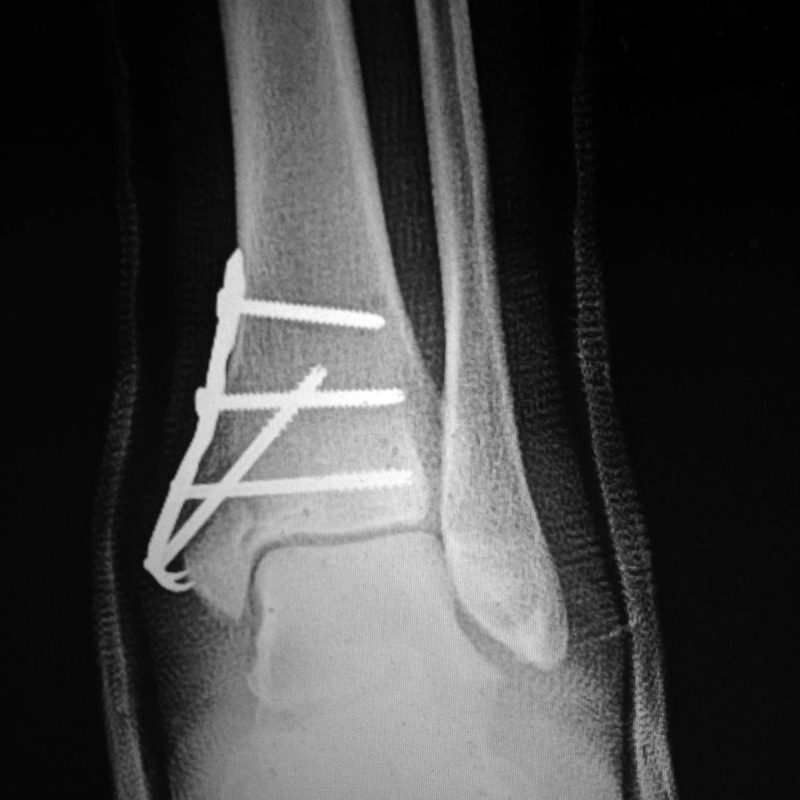 FYI – I just posted an update on my ankle injury here.